According to the decision of the Kyiv Pechersk district court on September 29 this year, arrest on the accounts of subsidiaries of the company, which were blocked in the proceedings initiated by the General Prosecutor's Office - was removed. As previously reported, on September 19, the General Prosecutor's Office closed the proceedings, admitting the absence of the offense. Thus, it is proved that ASTARTA operates in a legal field and in full compliance with the requirements of the current legislation. The company continues its stable work in all business lines, as well as launches new investment projects for the development of grain and sugar infrastructure with the involvement of international financing. In particular, last week the European Investment Bank confirmed the opening of credit line for ASTARTA. 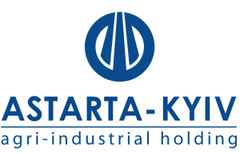 ASTARTA company is the member of Ukrainian Agrarian Confederation.